Milfoil chokes Riley Creek just upstream from Newport on the Pend Oreille River. The first game-changing technology I have seen in these five decades was registered by the U.S. EPA in 1986. Sonar aquatic herbicide, when used correctly, became a tool you could use to eradicate Eurasian milfoil from a lake system. One example is Lake McMurray in Skagit County. We treated that system 18 years ago with Sonar in a program to keep the herbicide around the target plants at low levels for 6-8 weeks. Lake McMurray has remained milfoil-free all the years since. Comparable results were achieved in several similar lakes. Some of these have since had a reintroduction, but, for the most part, those have been dealt with rapidly. The primary problem with Sonar is the very long contact time required for it to be effective. This rules out its use to spot treat in very large lakes, or in river systems where dilution and current don’t allow it to remain in contact with the target vegetation. Last February, what may be the next game-changer was registered for use by the U.S. EPA. ProcellaCOR was approved by the EPA in a newer category as a reduced risk herbicide. This classification is provided for products that are viable alternatives to older herbicide technologies and pose a significantly reduced risk to the environment and human health. Groups like the University of Florida Center for Aquatic Plants began working with this technology about five years ago. 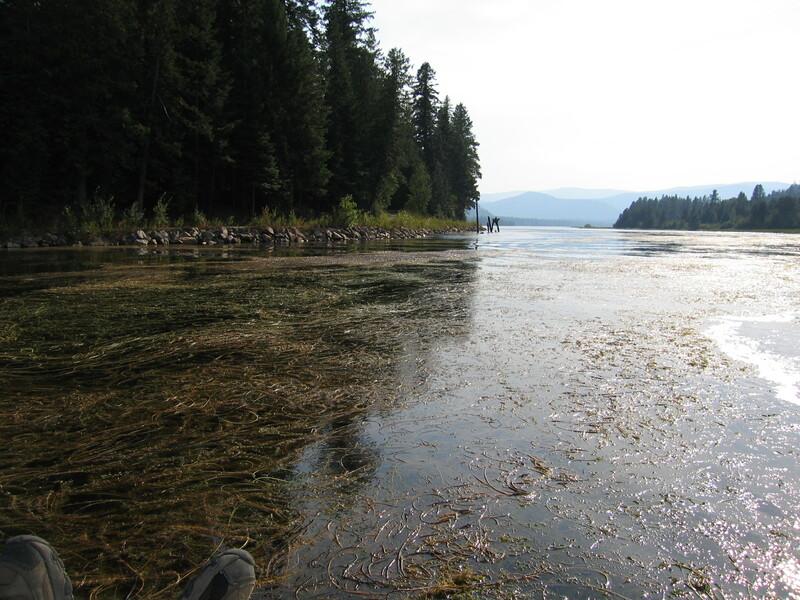 Dr. Mike Netherland, a researcher there who has spent his career focused on chemical control technologies for invasive aquatic weeds, noted that he has never worked with a technology as effective as this for hydrilla and Eurasian milfoil (per his paper presented at the North American Lake Management Society meeting in Banff, Alberta, November 2016). ProcellaCOR has an extremely short contact exposure time requirement, has an affinity for target species like Eurasian milfoil, and moves into the plant rapidly. It should perform very well even in high water exchange environments like the Columbia River. It has shown excellent control of Eurasian milfoil even when applied in the very low parts per billion range. We have been testing it against more resistant forms of hybrid milfoil that are popping up in Eastern Washington with excellent results as well. ProcellaCOR has very minimal water use restrictions; it can be applied to potable water supplies with no restriction on the use of treated water for that purpose. It has no swimming or fishing restriction. Water from the treatment area can be used to irrigate turf without restriction, and there are currently only short restrictions for some other plant species. This significantly reduces the impact that this herbicide treatment might have on lake residents and those recreating on the water. In most cases it is also more cost-effective than many of the systemic herbicides currently being used to combat milfoils. The manufacturer of ProcellaCOR is confident enough to offer a three-season warranty on control of milfoil in many cases. We have begun to work with this product in north Idaho and a few other locations. In Washington State, the Department of Ecology must go through a process to add ProcellaCOR to the NPDES permit for this type of control work. They plan to release a draft permit for new products this October with a public hearing in November. The permit should be issued in time for use in 2019. We are excited to bring this tool to the fight against Eurasian milfoil, yellow floating heart, parrotfeather and hydrilla, should it ever show up in our state again.